Fab 6 (Chandler, Az.) was an Intel CMOS wafer fab active during they years of 1980 to 2000. It had a production capacity of 31k wafers per month. 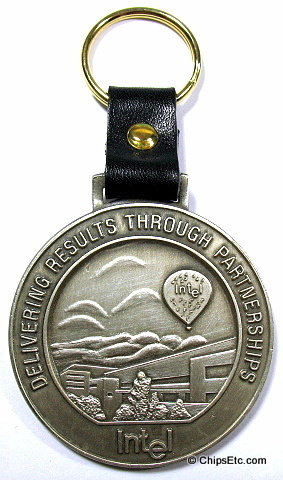 This plaque is a Fab 6 employee award for improving die yields for the DI metal strip process. Solid walnut plaque with metal engraved nameplate on the front. The recipients name has been blacked out in our picture. 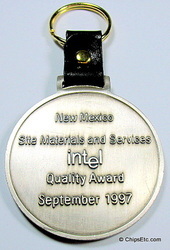 Intel Pendant award with Blue ribbon to hang from the neck. This heavy, solid bronze & Enamel Pendant is 2 3/4" in diameter and is made to resemble a complete miniature semiconductor silicon wafer. 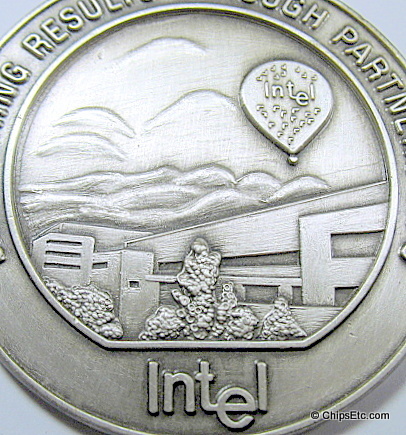 This Rare Intel item was never offered for sale to the public or internally to employees. 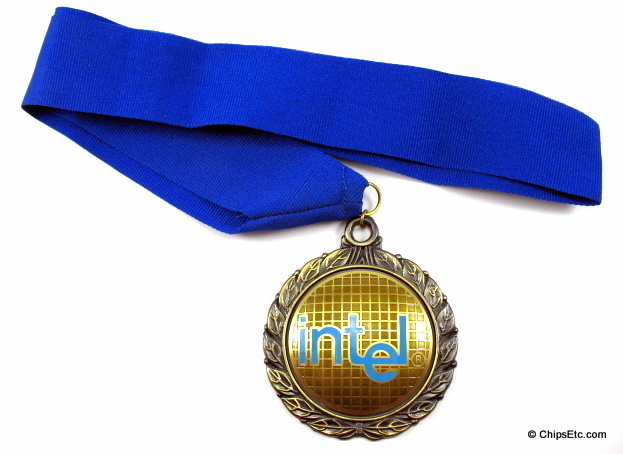 This was most likely a Top Finalist award given by Intel to a young person competing in the annual Intel Science Talent Competition. 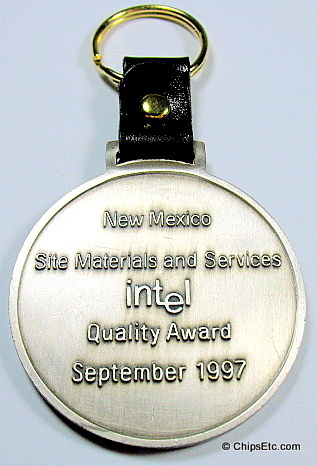 Solid metal key fob given as a quality award to Intel New Mexico's site materials & services employees in September 1997. 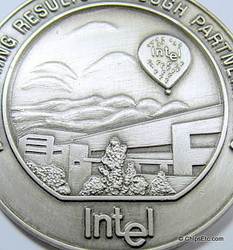 On the front it features embossed artwork of Intel's Rio Rancho, New Mexico campus with the Intel hot air balloon. 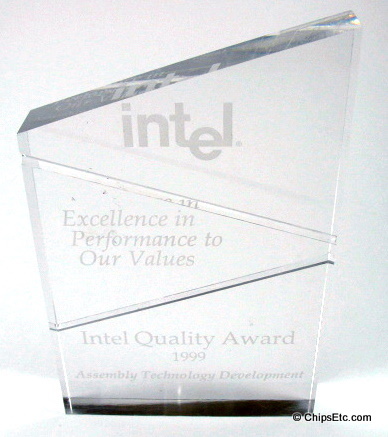 It reads "Intel - Delivering results through partnerships"
Etched Lucite award given to an Intel employee at Assembly Test Development (ATD - Chandler, Az..) for recognition of winning the 1999 Intel Quality Award. 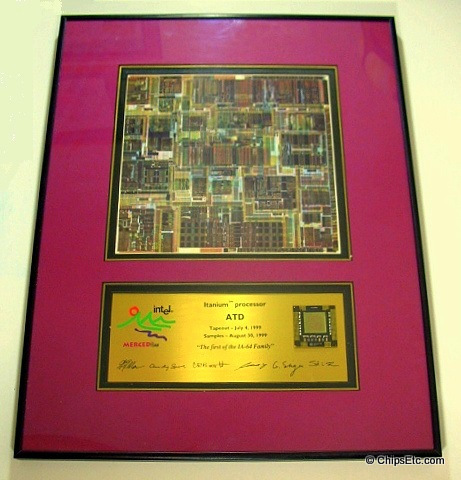 Framed plaque commemorating the tape-out & sample shipment dates of the first Intel Itanium processor (code-named Merced) in 1999. 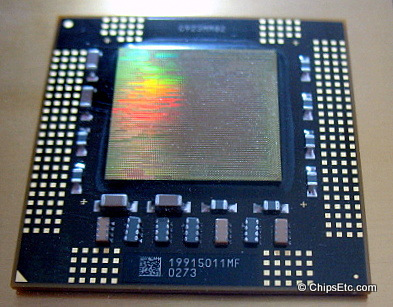 Itanium processors would officially be released two years later, in June of 2001. 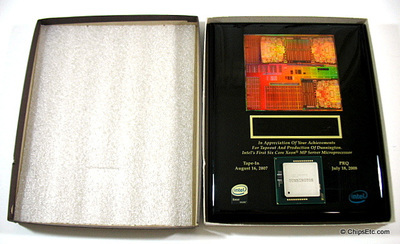 The 64-bit Itanium processor was developed through a partnership between Intel & HP for use in high-end servers & workstations, and in supercomputers. Itanium's new "IA-64" architecture was designed to replace aging "RISC" architectures (DEC ALPHA & MIPS Technology). 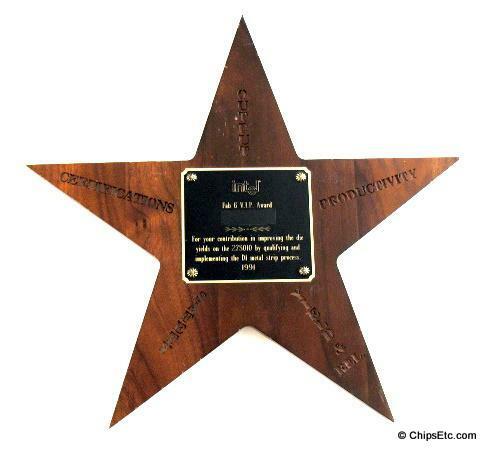 Metal plaque features an actual Itanium Processor as well as Facsimile signatures of Intel leaders Andy Grove, Craig Barrett, and others. 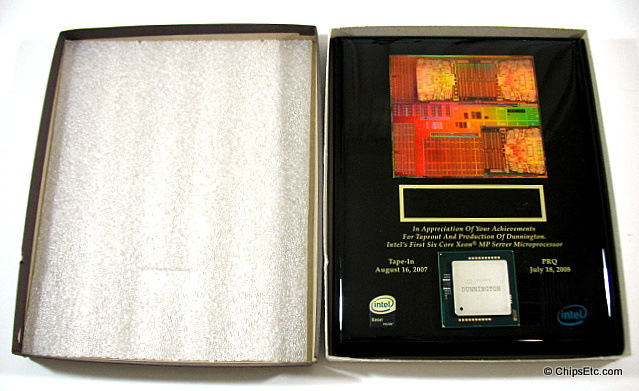 Above the plaque is a color image of the Itanium processor Die. 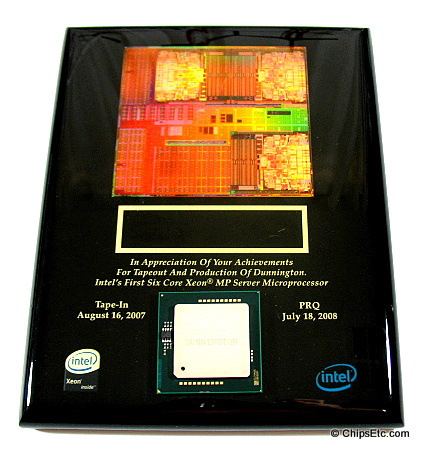 Black enamel recognition award plaque given by Intel to members who worked on the Intel Xeon MP server microprocessor, code-named Dunnington. Dunnington was Intel's first chip to use "multi-cores" (it contained Six cores). 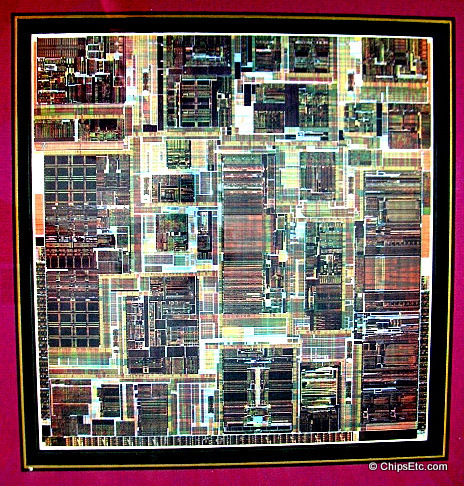 The Dunnington processor was manufactured using Intel's 45nm Hi-K technology and contained 1.9 billion transistors. 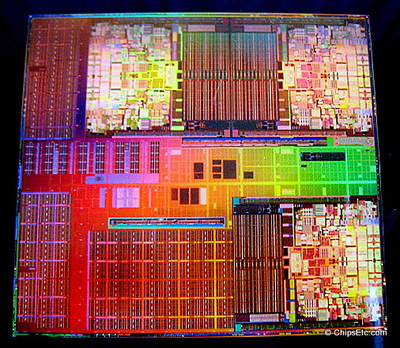 At the top is a color image of the Intel Xeon Processor Die. 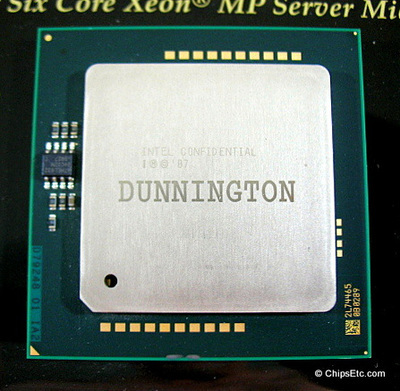 At the bottom is an actual Xeon Processeor chip, marked Dunnington on the lid.